The stars above Manhattan compete with the many lights sprinkling on at dusk. Still, outside our window the great unknown night sky calls my children as it has always called children. They kneel on the sofa at the window, leaning their faces upward to the first bright lights: Why are the stars so far away? Why don’t they fall? Who made them? Can we go see a star? In their room are baskets of overflowing books, many are tales about outer space, astronauts, the planets, the vast universe; a few are about the adventures of aliens and underpants; and one is about a great green room, and a picture of the cow jumping over the moon. 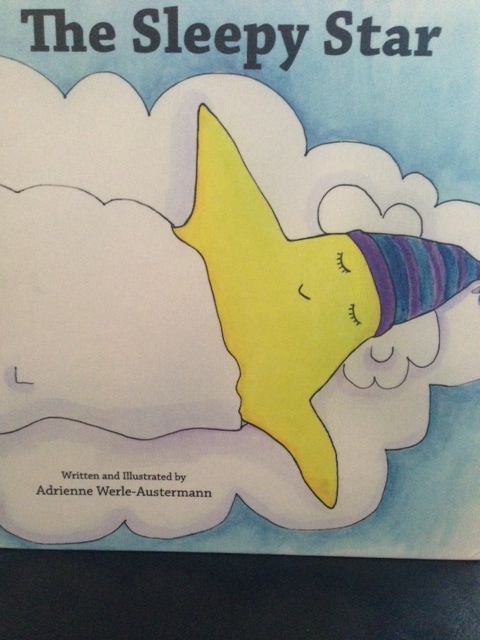 I added recently The Sleepy Star, written and illustrated by Adrienne Werle-Austermann, a book in rhyme, about the nighttime adventures of one little star. The rhymes are soothing at bedtime: “He passed by fish of all colors and size… and an old seahorse that looked very wise.” It is a sweet venture into another world. I appreciate the sense of imagination and adventure the book captures, keeping it simple at the same time. 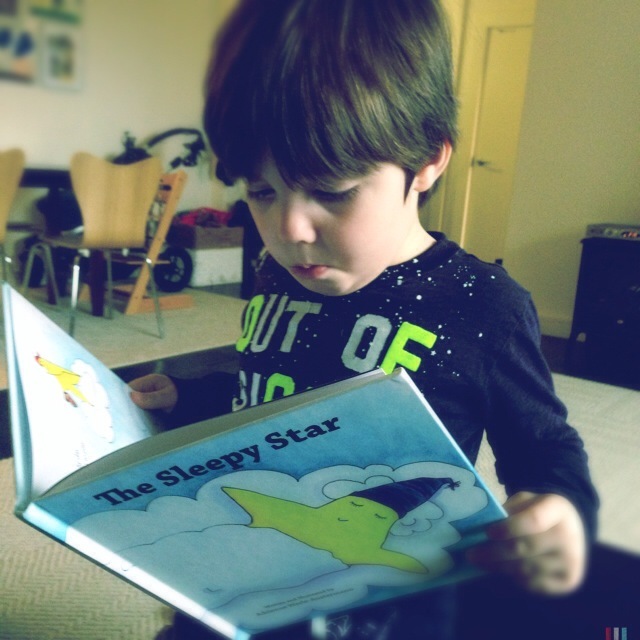 Each of our many space-themed books however, including The Sleepy Star, unravels in its own thread the magic of childhood, which lasts so short a time, among the great and infinite story of the cosmos. To close in on the mystery of a sleeping child, these stories repeat, simply look up at the sky. I was sent The Sleepy Star for the purpose of this review. I was not compensated in any way. All opinions are, as always, my own. 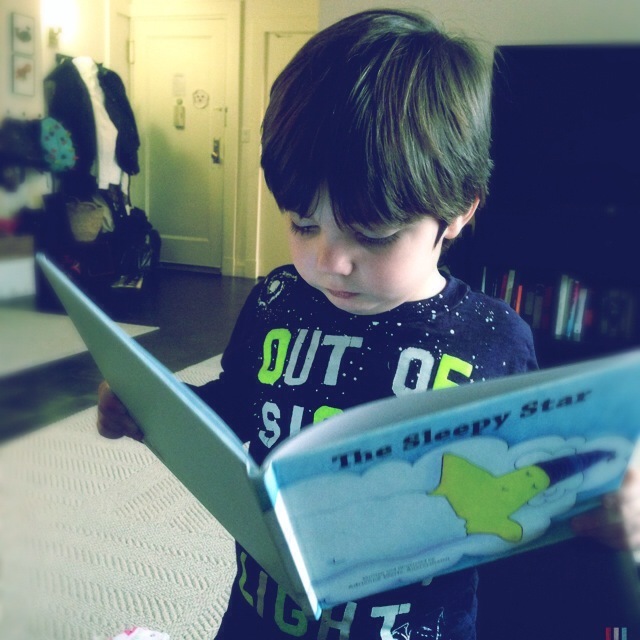 This entry was posted in Family Life, New York City Living and Coping, Parenting Moments, Review and tagged children and space, children's book, children's books about stars, space, stars, the little prince, the sleepy star. Bookmark the permalink.